The Goldilox blog is turning 7 this week so we're celebrating our Blogoversary with a week of giveaways and fun posts! This week is also special because we're celebrating the anniversary of Gretl and Rose Red joining Goldilox as co-bloggers! Can you believe they've been around for 4 years!?! In celebration of our Blogoversary, Gretl and Rose Red are going to share some of the things they've learned while blogging. 1. ARCs Are Fun But You Don't Need Them To Blog. Getting ARCs for review doesn't make you a blogger. You're just as much a blogger if you review books you buy or check out from the library. I've gotten a good amount of eARCs over the years and they're both great and stressful. I've found that recently I'm requesting less ARCs than I used to due to the fact that I'm a huge mood reader and not getting ARCs reviewed by their release dates was stressing me out. I felt obligated to read and review each ARC I got/finished and it was making reading a chore. Blogging got fun again for me when I accepted that some ARCs aren't going to be read by my self-imposed deadlines and that's okay. My blogging stress levels went way down after that. 2. It's Okay Not To Like Something. Everyone is different which means that sometimes you're not going to like a book that 99% of your Goodreads friends have loved. And that's okay. 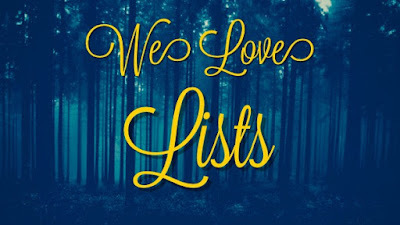 I have DNFed more popular YA books than I've found ones I've loved. I struggled with this the first few years of blogging. My life got so much better when I accepted that if I don't like something, I don't have to read it. Embrace your tastes and don't apologize for what you like. You do you. 3. Sometimes You Need A Reading Slump to Recharge. This is something I still struggle with but sometimes you just need a break from reading. It's okay to go binge watch a show on Netflix or to take a break from blogging. Sometimes life is just busy and you can't fit reading in to your schedule. That's okay. I've needed all of my reading slumps so I can come back recharged and excited to blog again. 4. It's Totally Okay To Read That ARC That Doesn't Come Out For Months Before You Finish This Month's ARCs. When we first started blogging, I was bound and determined to read each ARC in order of their release date. Yeah... that didn't work for me. Remember when I said I'm a mood reader? I've really embraced the idea of reading what I'm excited about reading when I'm still excited about reading it. I read for pleasure and blogging is not my job. So if I feel like reading my ARC of a book that comes out in six months or if I want to read a backlist title, that's what I'm going to pick up. Reading is supposed to be fun even if it means that you have to wait a year and a half to find out what happens after a cliffhanger ending. 5. Google Is Your Best Friend When Blog Things Break. Blogger is a temperamental, hellbeast of a site to work with some days. I swear we had a few months a couple years ago where our widgets were breaking every other day and some of our draft posts were being eaten. I still haven't figured out why Blogger needs to randomly eat my blog posts every now and then but I have learned that Google is essential when fixing our widgets. You may have noticed that our sidebar has changed drastically over the years as widgets broke and we made changes as the blog has evolved. Google made our current configuration possible. I know some HTML coding which helps, but I don't know everything. Google has been my savior so many times while I've been fixing or replacing broken widgets with things that fit our needs as a blog like our current Recent Reads widget. I would have never have figured out how to do that on my own. I'm happiest when I alternate review books with just for fun books or book binges with Netflix binges. But things like deadlines and reading slumps try to throw you off balance. I'm a planner and it drives me crazy not to meet deadlines. But most of my deadlines are self-imposed so I can give myself a break occasionally. (I can also cut myself too much slack and wind up way behind, but that's another lesson.) It's a lot less like work when you say, "I have to read one of these four books next," rather than "I have to finish and review this book that I'm not in the mood for in the next 48 hours." The reason we're still here after four years is that we like working together. And a lot of our non-review posts are group efforts. Like this one. It's also pretty unusual for both of us to slump at the same time, though it has happened, so there's someone to pick up the slack. If you can't fix it by deleting and re-installing, I'm probably out of luck. Working with someone whose skill set is different from yours is a huge asset. Rose Red: It really is awesome having a co-blogger with a different skill set than you have. Like having one who knows way more grammar rules than you. I can't tell you how many times Gretl has saved my posts from typos and weird grammar.